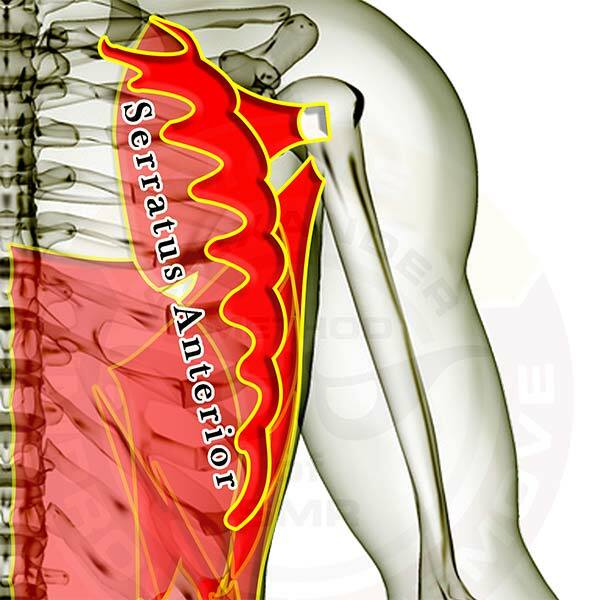 Pictured above is the serratus anterior. It is a stabilizing muscle for the shoulder blade (scapula) and it flattens the scapula against the ribs. When someone has a big dip between their shoulder blades, this muscle is not functioning correctly.